Tourism is travelling for pleasure or to enjoy yourself away from the place you live. People do this for many different reasons – to have fun, visit other countries and learn about other cultures or just relax from stressful working life. Tourists go to various destinations - countries with great landmarks, places with lovely beaches or simply areas of wilderness and untouched nature. In the last few decades tourism has grown very much, mostly because people’s lifestyles have changed. They don’t want to stay at home any more. They spend more money on travelling than previous generations did. Travelling has also become cheaper and more affordable. The rise of budget airlines has made it possible to afford trips to faraway countries. Many tourists spend their holidays on beaches. They relax, go bathing or just enjoy the salty sea breeze and the ocean. Spending holidays on beaches has had a long tradition for over one and a half centuries. Winter tourism started out in the middle of the 19th century when wealthy Europeans went to St. Moritz and other alpine resorts. In Europe and in the American Rockies skiing resorts attract millions of people every year. Various lifts bring skiers to altitudes of over 3,000 meters. People go to other countries for medical treatment and operations. Irish women, for example, go to the UK because abortions are forbidden in their country. West Europeans go to Eastern Europe for dental treatment. Americans go to Mexico for plastic surgery and other operations. Young people live as exchange students in other countries, where they go to school and study the language and culture of the host country. An increasing number of sports fans travel to places where special events are being held. The Olympic Games and world championships attract visitors from around the world. Organized tours were started in the middle of the 19th century by a British businessman, Thomas Cook. Package tours are made up of travel to and accommodation at the destination. A tourist agency often provides everything from a plane flight to a rental car. Sometimes such package tours offer a combination of beach holidays and sightseeing trip. Spas have been popular since Roman times. In 16th century Britain Bath became the center of spa tourism for the rich population. During the 19th century spas emerged all over Europe. Today people go to spas for the healing effect of mineral waters as well as for offer wellness treatment, massages, steam baths and other services. In the past few decades trips to faraway exotic places have become popular. Tourists looking for thrilling activities go mountaineering, rafting, trekking , or even to remote places in the rainforest. Religious tourists go on pilgrimages to holy sites. Roman Catholics, for example, travel to Lourdes, Fatima or the Vatican in Europe. Muslims are required to go to Mecca at least once in their lifetime. Varanasi , on the banks of the Ganges River, is the spiritual capital of the Hindus. Recently many people have chosen a type of tourism that does not damage the environment. They avoid travelling by plane or do not buy souvenirs that are made out of endangered plants and animals. 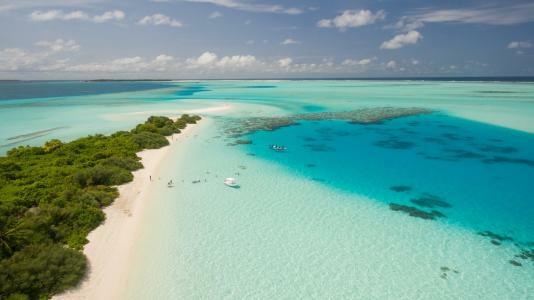 Some holiday offers give tourists the chance to take part in environmental projects. People have been travelling for pleasure since ancient times. In ancient Egypt, religious festivals attracted people from the whole Nile Valley. Ancient Greeks travelled regularly to the site of their gods. Romans travelled to Greece, Sicily and other places in the empire. Wealthy Romans had second homes near the sea where they spent the summer. During the Renaissance educated Europeans embarked on what was called the Grand Tour , a trip to several European countries to enjoy art and architecture and get educated. In the 19th century the invention of the steam engine made it possible for people to travel by boat and train. Regular passenger services from Europe to America started in the 20th century. The invention of the automobile made it possible to travel larger distances by car. In the 1960s going on holidays by plane became affordable for many. Jumbo jets of the early 1970s were capable of carrying over 400 passengers and reducing costs of travelling to other continents even further. Tourism is a worldwide industry. In many countries it is the most important largest source of income. Global tourism is growing at a rate of 4% a year. The tourist industry provides jobs and brings a country foreign currencies. Many groups profit from tourism: travel agencies, store owners ,airports and airlines, hotels, restaurants, etc.. However, mass tourism, can also lead to environmental problems. It can pollute beaches or create noise in otherwise quiet regions. Popular tourist attractions must be controlled by authorities. In the past years there has been a trend towards shorter holiday breaks during the year. People like to take a few days off to travel. The internet has changed the way people organize their holidays. Booking plane tickets online is easy and prices are often lower than with travel agents. International tourism has suffered many drawbacks, like the 9/11 attacks, which made security at airports stricter and travelling more difficult. The tsunami that hit Southeast Asia in 2004 killed over 250,000 people including thousands of tourists. travel agency = someone who organizes flights, hotels etc..
Anglická četba o turismu. Rozšiřte si anglickou slovní zásobu v článku o turismu. Anglická slovíčka na téma turismus.